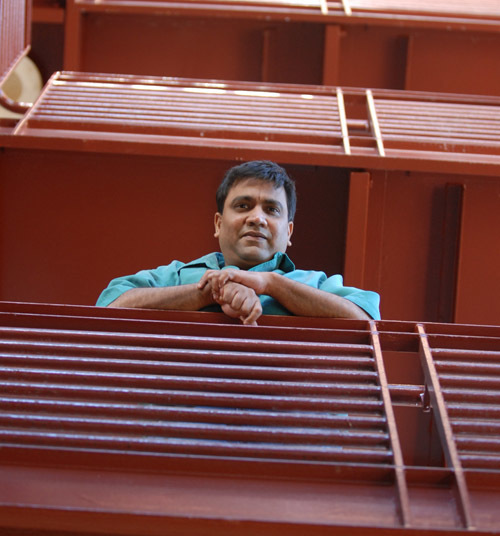 Anil Menon’s short fiction has appeared in a variety of magazines and anthologies. His debut novel The Beast With Nine Billion Feet (Zubaan Books, 2010) was short-listed for the 2010 Vodafone-Crossword award. Along with Vandana Singh, he co-edited Breaking the Bow (Zubaan Books 2012), an international anthology of speculative fiction inspired by the Ramayana epic. His most recent work is the novel Half Of What I Say (Bloomsbury, 2015). He has written 'Manikantan Has Enough' for StoryWeaver. Last year, while my friend Emma Dawson-Varughese and I were chatting, we were interrupted by the loud wails of her daughter Mahia, then about two-years-old. Mahia had crawled past her mother’s alert eye, wriggled, flipped, and finally gotten stuck underneath a sofa. Emma rescued her self-pitying miscreant with a sigh. I’m sure that sigh has been echoed by every parent since the beginning of time. It is impossible to prevent children from wanting to explore the world. Until recently however, parents had one comfort. Children may explore, but parents could guide their exploration because the world stayed the same, more or less. Parents knew what to expect. Alvin Toffler in his “Future Shock” gives a striking description of just how little things have changed for most of human history. We’ve had civilization for about 50,000 years. If we divide this period into generations of 62 years each, then so far, there have been about 800 generations. The first 650 generations lived in caves. We have had writing just for the last 70 generations. It is only in the last six that masses of humans have had access to the printed word. The electric motor has been around for a mere three generations. The internet is less than one-generation old. Because the world used to stay mostly the same, parents could child-proof the future. The best way to do this was with stories. So children heard the same stories their parents had heard and took away the same lessons. The same culture. The same standards of beauty, of justice, of right and wrong, of how to treat different groups of people. There was hardly any need to update these lessons, and children could grow up to be just like their parents. This was considered a good thing. Things are different now. 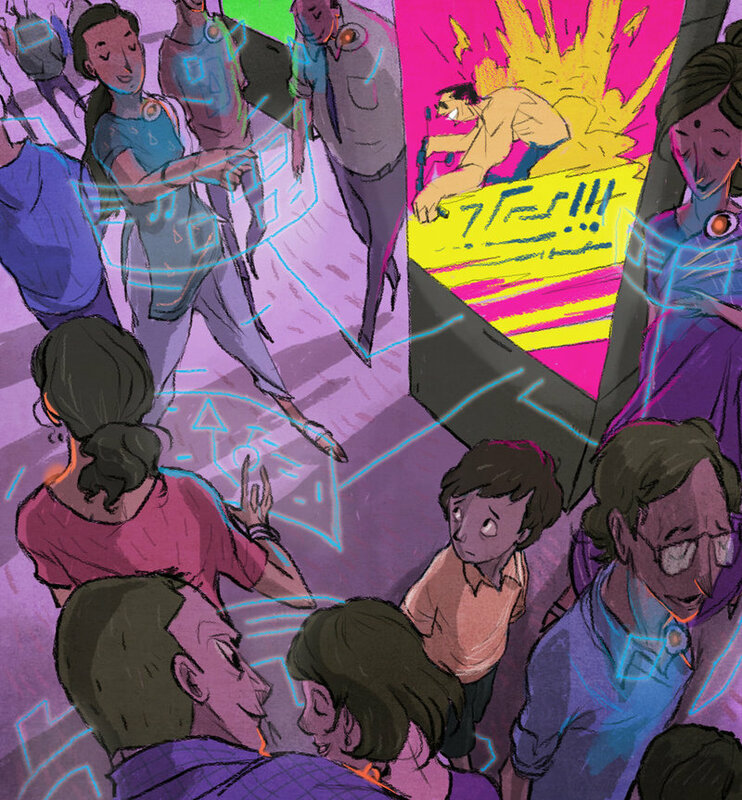 Science and technology have unleashed new forces largely beyond anyone’s control. The way we eat, work, mate, raise children, and communicate are all undergoing massive changes. Our kids are going to get stuck in situations we can hardly conceive. They’ll live in a world where most objects possess a certain minimal awareness. Subtle AI programs will mediate everything our future adults will see and hear. Privacy will become harder and harder to achieve. There will be near-sentient robots, cyborgs, and materials almost magical in their ability to manipulate light, heat and sound. They will be able to share each other’s experience, not through conversation as we do, but through more direct means, perhaps by some sort of neural link. At the same time, the complications of global warming will radically constrain all aspects of life. Too far-fetched? The stuff of science-fiction? Yes. Our children’s futures have indeed become science-fictional. So how do we prepare our children for a rapidly-changing world we’ll (mostly) never experience? We can’t. We cannot child-proof the future anymore. But just as parents help their children explore the real world, they can also enable children to explore possible-worlds. Coming generations of kids need stories that won’t just show them how things are, but will also inspire them to speculate how things could be. We need stories that don’t pretend adults have all the answers. We need stories that’ll help children learn to appreciate difference and ambiguity. We need stories that’ll teach children to question the stories they’re told. Our ancestors could take comfort in the fact things would remain the same. Our children can take comfort in the fact things may always be changed for the better. Then the brave new world will also be a world worth living in.